← The Kaye effect after dark! Been very busy the past few weeks with work, house buying and selling, and life in general. Catching back up on blog posts; here’s a bit of sweetness connected to a prominent physicist. With the weather finally turning nice at last and with Spring in the air, it is natural that even a scientist’s thoughts would turn to… love! Not being a biologist, I can’t write about the weird mating habits of the animal kingdom — besides, that role is already and masterfully taken by Dr. Bondar. What I can do, however, is provide a revealing peek into the personal life of a famous physicist and his own efforts and insecurities in romance. I was recently browsing the memoirs and correspondence of physicist and mathematician George Gabriel Stokes (1819-1903), published in 1907, and found to my delight that the editor had included a series of personal letters of Stokes wooing the love of his life! Why, you might ask, would I even bother to share this information? Well, every physicist knows at least one quirky story about a famous researcher, e.g. some sort of crazy thing that Feynman, Einstein or Newton did. These stories are great fun, but they emphasize that great scientists are different from ordinary folks. This in turn has the unintended side effect of making scientists appear strange, unsympathetic, and unapproachable. Because of this, I nowadays am more delighted to read anecdotes that prove that the most brilliant researchers were, in fact, also very human at heart. Stokes’ letters actually highlight two major aspects of his personality: his loving and insecure soul as well as his remarkable mind. Stokes in the 1860s, via Wikipedia. Most people, even within the science community, are quite unfamiliar with George Stokes, even though he was responsible for a number of fundamental discoveries in physics and mathematics. All physicists and mathematicians know him for what is now known as Stokes’ theorem, a fundamental theorem of vector calculus. He made major contributions to fluid mechanics (including the Navier-Stokes equations for fluid flow that partly bear his name) and optics, the latter including the observation that many fluorescent materials have the ability to convert invisible ultraviolet light into visible light. He first began studying this phenomenon when he noticed that quinine, the original drug used to treat malaria, has a surprisingly bright blue glow when illuminated with ultraviolet light. 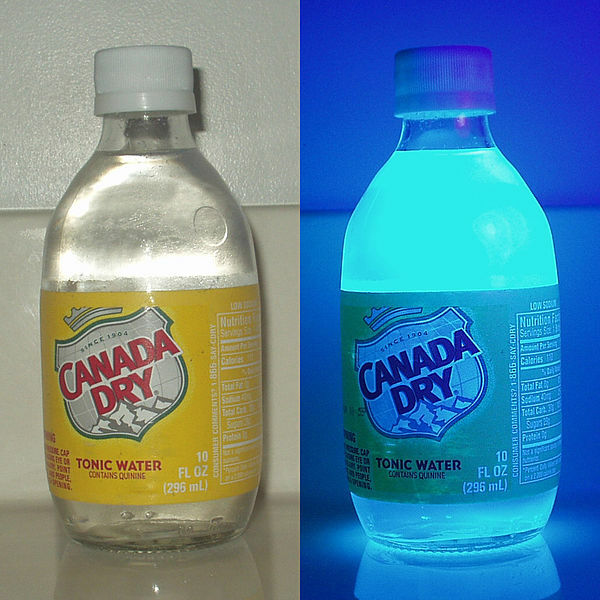 Quinine is present in tonic water, and will glow brilliantly under a UV lamp, as shown below. The youngest son of the Reverend Gabriel Stokes, George was born in Ireland in the seaside village of Skreen in 1819. Like many brilliant scientists, he displayed unusual curiosity and charming eccentricities even at a young age, as recounted by his sister Elizabeth in his memoirs. The child had an enquiring mind and asked many questions, as, for instance, ‘But, William, is the hawk a bird, and does he really eat mice?’ One day my mother discovered him on the floor measuring a dead bird, and saying to himself, ‘That’s right,’ probably comparing it with some description which he had read. I could fill multiple blog posts describing George’s unusual behavior, but a few examples from his childhood will suffice. His connection with Wellington is significant for our later discussions, as well! 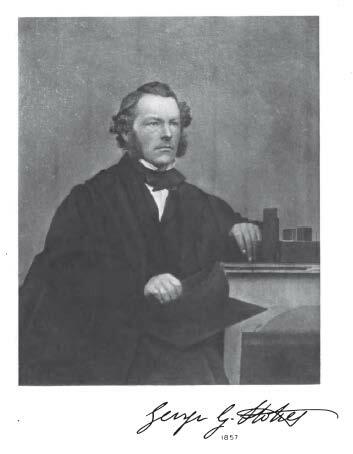 In 1835, Stokes went to Bristol College (which no longer exists) and spent two years distinguishing himself in mathematics. He then moved on to Pembroke College in Cambridge, doing so well he earned a Fellowship at the institution. Several years later, in 1849, he distinguished himself further and also became the Lucasian Professor of Mathematics at Cambridge; this chair has been held by such luminaries as Isaac Newton, Paul Dirac and Stephen Hawking. In 1852, Stokes made his discovery concerning the fluorescence of quinine, cementing his position as an important and leading scientific luminary. In spite of his talents and his ability to give a powerful lecture, Stokes was in fact a very shy man. Stokes was in charge of several prize and scholarship exams, which involved candidates being tested extensively at his own home. The days of the Smith’s Prize and Bell Scholarship Examinations were always marked days with us, as the house was turned upside-down; we lunched in the drawing-room, and the dining-room mahogany supported the elbows of those who were examined. If they were in awe of my father during their papers, he was quite afraid of them at lunch. He considered it a part of his duty to help to relax their mental strain, and used to lament that he found it so difficult to entertain them and did not know what to say. It once happened that during the recreation interval in the garden after lunch two candidates ran away. It was particularly unfortunate, as one of them had done rather well. The event was long spoken of in the family with bated breath, and afterwards the garden gate was kept locked on these occasions. 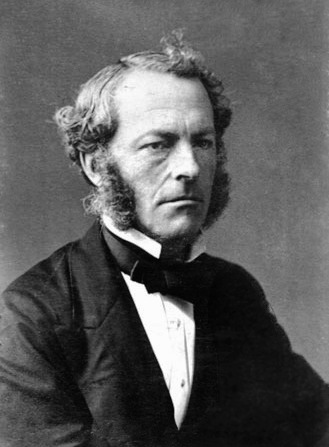 It was this man, George Stokes the brilliant but shy physicist, who fell in love with Mary Robinson. 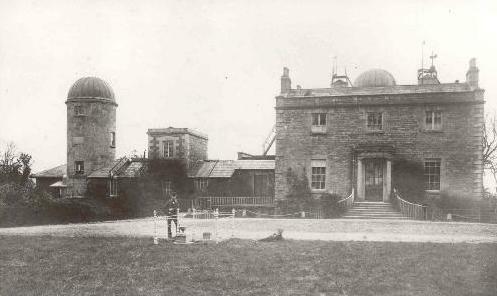 She was the daughter of the Reverend Thomas Romney Robinson, astronomer of the Armagh Observatory in Northern Ireland, and her path first crossed Stokes’ around 1856 at a Meeting of the British Association. Their first meeting was brief, but Stokes fell for her immediately. He had some difficulty in tracking her down again because he mistakenly thought her to be the daughter of another famous physicist, Sir David Brewster (of whom we will say more momentarily). Once they had met, they began a lengthy communication by mail, apparently necessitated by their geographical separation. The letters released by Stokes’ family for publication begin in January of 1857. They contain a combination of personal and work-related news, as a letter dated January 10 indicates. My cold is gone, reduced to only the dregs of the dregs of a cold, an infinitesimal of the second order. After dinner to-day I finished The Caxtons. Tell Mrs. Robinson that I have come to the end; not that it was a task, for I like it very well. I suppose you would laugh at me, being in the habit of devouring a novel at a sitting, or two sittings at the most. I take it more by sips, the way a man takes wine. The Caxtons: A Family Picture is a novel written by the infamous Edward Bulwer-Lytton, of whom I have had much to say on this blog in the past (here and here). Today I had my men to an examination. Alas! I tear they have not been taking in my lectures. It is hard to teach mechanics to men who have had no previous mathematical training. I am now in electricity; a much more interesting subject to lecture on than mechanics. Stokes was troubled by the fact that his students seemed to be learning nothing in his lectures: this is a problem that most teachers can sympathize with! Mary seems to have been eager to understand more of what her suitor did with his spare time, going so far as to learn some mathematics. George was encouraging in this pursuit, albeit in a somewhat condescending way, as the same letter indicates. I intended to teach you a little Euclid and Algebra just for the sake of strengthening the mind, not for the sake of enabling you to follow my mathematics. I am afraid Euclid and Algebra would not help you much towards understanding what I write on pure mathematics. But I chiefly busy myself about physics, and you will be able to understand something of that after you have seen some experiments. As I have noted, Stokes was at the height of his career at this time, and his enthusiasm nearly led to the engagement being cancelled. Though the letter does not survive, somewhere around January 15 he sent Mary a 55-page letter that apparently outlined in detail his scientific pursuits as well as his view that those pursuits took priority over his social and love life. Mary was justifiably worried that she would end up leaving her family only to find herself alone in London while George occupied himself with science. Stokes himself seems to have quickly realized this, and on January 17 sent an apologetic letter to her. As no mails go out on Sunday you will not I fear get this for a day and a half after the 55-pager. I am afraid the latter, though it will probably be interesting to you (if I may judge how I felt about similar letters to me), may have given you some pain. What gave me occasional pain, being no longer pent up, can now give me no more, and I feel so happy now that there is nothing to interfere with my love. The ghosts looked always wrong; but now bow silly and contemptible they appear as well ! … The 55-pager explained to you my motives for the first time, and it is better you should love me as what I am than as something else. My letter this morning was for a letter something like Hofmann’s methylethylamylophenylammonium for a word: I guess you never got a 55-pager before. I love George’s attempt to lighten the mood with humor! Mary wrote back to explain her concerns, and Stokes dropped most of his academic pretense and declared his love for her in a letter on January 21. … So then, my dearest Mary, though the ghosts were bad enough they were not quite so black as you may perhaps have imagined. It grieves me to think that you should look forward to but little love. I fancied I should love you as few wives comparatively get loved, but of course I cannot tell, for I cannot look into other people’s hearts. And as to coldness I cannot tell you more of my heart than I know myself, and the heart is said to be deceitful, but it appears to me to be thus. Do you remember how I told you I broke my arm, and how the muscle between the elbow and shoulder fell away when the arm was in the sling, and how rapidly it came to again when the sling was laid aside and the arm used? Well, I believe it is even so with my feelings of affection. I have been living so much alone “amidst thoughts and making out things” that they are not so strong as those of one living in the bosom of a family; but they only want an object on which to exercise themselves. And would it be no satisfaction to you to think that you were under God the means of supplying to my character one thing it wants much ? Already I feel the difference. To me as well as to you it seems quite natural that people living together, and both trying to do right, though it may be with many faults, should love each other. It seems that Mary was more or less reassured, and over the course of a series of letters became even more comfortable. There were other difficulties associated with marriage to an academic, however, which I imagine to be the “two-body problem” of Stokes’ time. In short, holders of a Pembroke Fellowship were not allowed to be married! And now I must tell you one thing which may be, but I don’t think is likely to be, of importance to us, at least at present. If it comes to anything it may make me wish to put off my marriage, as I mentioned to you a day or two after we were engaged. I should not like what I am going to tell you to go beyond you and your father and Mrs R. at present. Even before I went to the Observatory last August, I thought that as to the time of our marriage I ought not to put it off merely for the sake of saving more money, when I had what prudent and experienced people considered enough (I thought it might be deemed necessary or rather advisable to save money for two or three years in case it should tum out that you had not any, but it was not so deemed either by your friends or mine, but the contrary), but that I ought to put it off a little if my marriage would throw difficulties in the way of University reform so far as relates to the endowment of my own Professorship. Everybody allows that in the abstract the Professorships ought to be endowed, but where is the money to come from? There seems no source but the appropriation of Fellowships to the endowment of Professorships. This would be a very strong measure, like the alienation of private property; for Fellowships are not endowed by the nation, but given by private individuals who founded them. Parliament might force such a measure on the University, but there would be strong opposition. Stokes was both a Professor and a Fellow, but the Professorship provided very little money; most of Stokes’ income came from his Fellowship, which was under harsh restrictions. But there is another much milder method which could be put into practice in the case of those who are already Fellows, and could even be extended to those who are not, by the election of them into Fellowships if the ,Fellows of a College were willing to elect them. It is to dispense with the restriction of celibacy and the possible necessity of taking Holy Orders or else resigning, in the case of Professors who are also Fellows. Thus the Fellowship would in effect become part of the endowment of a Professorship, and yet the intention of the founders is but little interfered with. I believe Heads of Houses had originally no more power of marrying than ordinary Fellows, but they were permitted by a letter of Elizabeth. And if Heads by a letter of Elizabeth, why not Professors by a letter of Victoria, or if our now more limited monarchical authority requires it, by an Act of Parliament? I have been very remiss in question-answering. You have asked me 9 marvellous searching questions, which I proceed to answer some of. 1. The virtue you think most of. By think most of I presume is meant think most highly of, rather than reflect oftenest upon. Answer :-I think one is more struck with a strong exhibition of virtue, be it of what kind it may, under trying circumstances, than with virtue on account of its being of a particular kind. And with reason; for such a proof indicates the possession of a character which would show itself in other directions if occasion led. Yet comparing virtues in the abstract, I am inclined to think that charity or love (for it is the same word) must rank the highest, for it in a manner includes all others. 2. Favourite hero. Hero I suppose is meant in the usual sense of the word, and I should say in this sense the Duke of Wellington. Recall that Stokes has been called “Wellington” as a child due to his bravery after being burned! It seems that his nickname stuck with him to some degree. 3, 4. Prose writer and poet. No decided opinion. 5. Antipathy. Vide what was said under virtue. Presuming that you don’t mean to go to the assizes but speak of what one meets with in ordinary society, I should be inclined to say a sort of cringing, sneaking, fickle, frivolous, fawning character. 6. Flower. Perhaps a clove-pink. 7. Food. Variety is charming; one would get tired of anything. Though I come from the Emerald Isle I must say the roast beef and plum-pudding of Old England is very good. 8. Occupation. Scientific investigations, especially when they lead to discoveries. 9. Colour. I should say a red-purple. 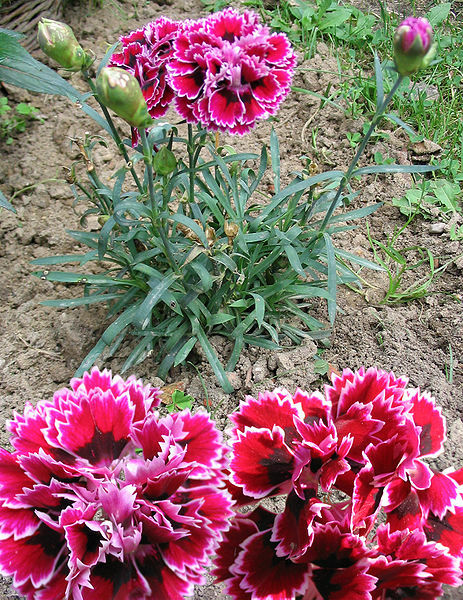 George’s favorite flower: the carnation (though likely a different color). Via Wikipedia. When the cat’s away the mice may play. You are the cat and I am the poor little mouse. I have been doing what I guess you won’t let me do when we are married, sitting up till 3 o’clock in the morning fighting hard against a mathematical difficulty. Some years ago I attacked an integral of Airy’s, and after a severe trial reduced it to a readily calculable form. But there was one difficulty about it which, though I tried till I almost made myself ill, I could not get over, and at last I had to give it up and profess myself unable to master it. I took it up again a few days ago, and after a two or three days’ fight, the last of which I sat up till 3, I at last mastered it. I don’t say you won’t let me work at such things, but you will keep me to more regular hours. A little out of the way now and then does not signify, but there should not be too much of it. It is not the mere sitting up but the hard thinking combined with it ……. I think any non-scientist who is married to a scientist can sympathize with this statement! How often are non-scientist wives/husbands irritated by their spouses staying up all hours of the night fighting with some seemingly intractable problem? The problem in question resulted in one of Stokes’ most significant mathematical discoveries, the Stokes lines eventually named after him. The details are much too technical to get into here, but play a significant role in the optical theory of diffraction. and that pretty quickly. May it be lasting. …… If we are married at the time we are at present thinking of, and go to Switzerland as we talked of, I think I will bring a couple of quartz prisms, a quartz lens, and a piece of uranium glass with me, to observe the spectrum on top of the Rigi or Faulhorn. Stokes was in fact an avid and somewhat reckless climber, and he would often horrify his family by making ascents on treacherous pathways. George is so fond of lightning. He puts his head under all the waterspouts he can find. He flew about, now up, now down, trying to find a better path; he quite enjoys dangerous places and looks so happy where his neck might be broken. There marriage was, by their daughter Mrs. Humphrey’s account, a happy one, and it lasted until death parted them. They had a number of children (I have not been able to determine how many), though sadly at least two of them died at a young age. When it was becoming customary for the University Professors to admit lady students to their lectures someone wrote to him asking for permission for the ladies to attend his lectures also. He said that he had almost decided to refuse; but I begged that he would take them, and asked him how be would feel if a Mrs Somerville had asked him to teach her, and he would not. At last he promised to admit them, and he became much interested in his lady students, and always knew how much they understood. He was much amused by one. After the first lecture he said,”She frowns “-after the second,”She is frowning horribly ! “-after the third, “Her forehead is one mass of corrugations; she won’t be there next time!” and she was not. But some of the ladies got on splendidly, and he was much pleased when a Newnham lady who had attended his lectures brought him some original work which he approved. George Stokes was a brilliant scientist, and an odd fellow at times, but he was also wonderfully normal in all the ways that mattered. Stokes in 1857, from the frontspiece of his memoir and correspondence. * I first learned of this quote from J. Heading, “An Introduction to Phase Integral Methods” (Methuen, London, 1962). This entry was posted in History of science, Silliness. Bookmark the permalink.